for our week’s vacation there. It was great to see my parents again. They arrived around 11:30am. Before we left Kim and Michael’s house they had a short visit for my parents to see some maps and have a nice cold drink before we got onto the road again. We were going to spend a bit more time together but unfortunately Michael got called into work so he had to leave around 12:30pm and Kim went with him. We said our good-byes and then went on our way. 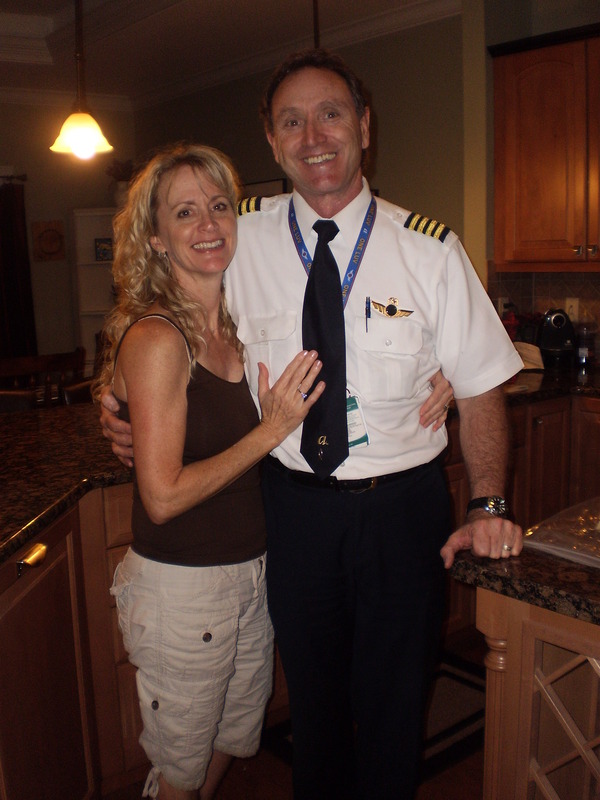 It was such a blessing beyond what I could possibility put into words to be able to stay with Kim and Michael. It was a real time of encouragement for me to spend that time with Kim. It was a real blessing from God to meet all of those wonderful people during my time in St. Petersburg and be able to share my passion with them too. I am very much looking forward to them bringing their team to Romania in December! It will be great to give all of the orphan and gypsy kids Christmas parties and do it with a team! 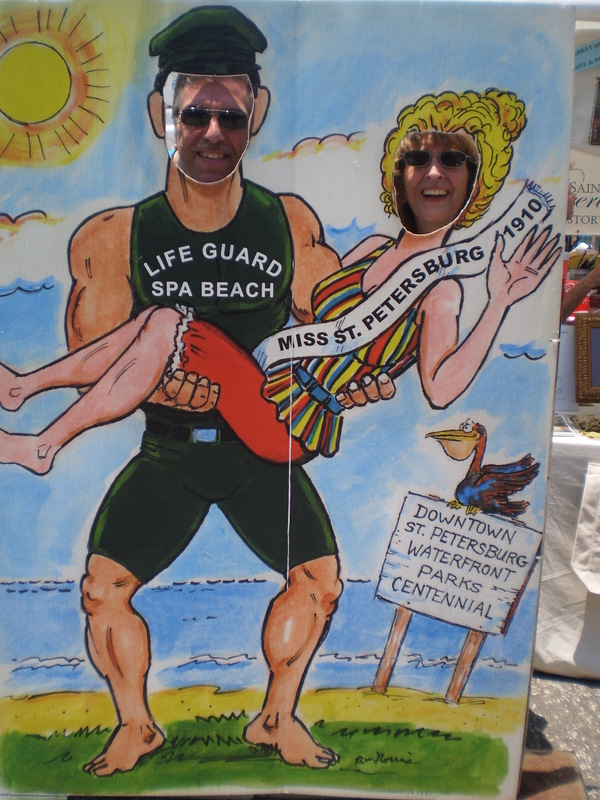 My parents having fun in St. Petersburg, FL market! take them to the market in St. Petersburg since I really liked it a lot when I went last week. Thankfully we were able to find a parking place both for the truck and our trailer otherwise if we didn’t I don’t think we would have been able to go there. We went there for an hour. I think my parents really enjoyed the market. We got a couple of fruit crepes and bought some fresh fruit and vegetables for our vacation. I wanted to show my parents the harbour that is right near the market so we went there for a few minutes and I was so surprised that we saw a couple of dolphins! Our drive to Sarasota, Florida only took around 45 minutes. We arrived at the Sun N Fun campground around 2:45pm. I couldn’t believe how big and beautiful our campground was that we stayed at! It had a pool, two hot tubs, nice bathhouses, a computer room with internet access (we also had the internet through our own computers too), there was an exercise room with a nice gym and many other features. My parents and I in St. Petersburg, Florida. the first time since my parents bought the trailer that I used it so I didn’t really see how big it was except for a few pictures. I couldn’t believe how big the trailer was and how nice it was! Okay now this isn’t really camping but I have to admit it is definitely a nice luxury to have your own bathroom with a shower and air conditioning especially when it is very hot! After we finished setting up our trailer and campsite we went into the town of Sarasota for a late lunch/early dinner and then we went to Wal-mart for our grocery shopping for the week. It seemed like a nice town but we will have to explore more throughout the week because today we were all a bit tired from traveling and setting up. I am sure the rest of the week will be really great! I am sure it will be a great time to spend time with each other and relax too!